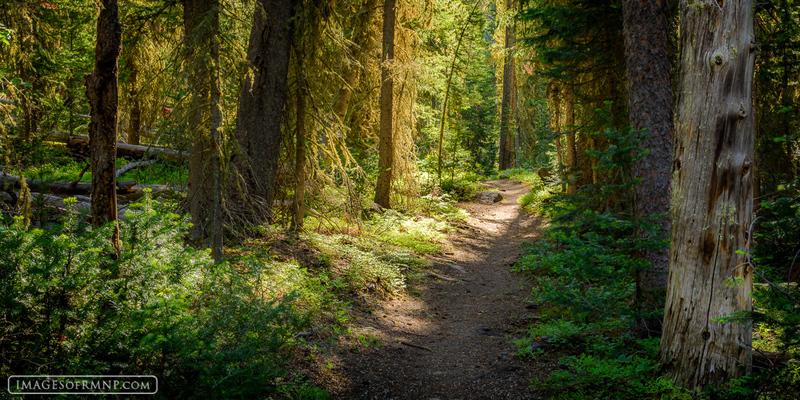 On early summer mornings the North Inlet Trail in Rocky Mountain National Park takes on a magical qualities as the light penetrates the forest. If you follow this gorgeous trail far enough it will lead you deep into the wilderness and deep into yourself. . Photo © copyright by Erik Stensland.